Apple's latest iOS update arrives today for all users, bringing with it a greater diversity of emoji and other improvements. 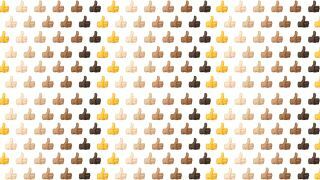 The update, which brings the system up to version 8.3, adds more than 300 new emoji - including the universal gesture, the thumbs up - with a wider range of skin colors than before. More countries' flags are also represented, and naturally there's a new Apple Watch emoji, too. This update also tweaks the iPhone's keyboard, expanding the space bar at the expense of some of the "." button's real estate. The other major change is the addition of Apple CarPlay support, which lets users connect their iPhones to their cars' dashboard displays. And the update includes additional languages for Siri and dictation, plus improvements to orientation/rotation, Wi-Fi, and Bluetooth. iOS 8.3 rolls out over the air to all users beginning today.